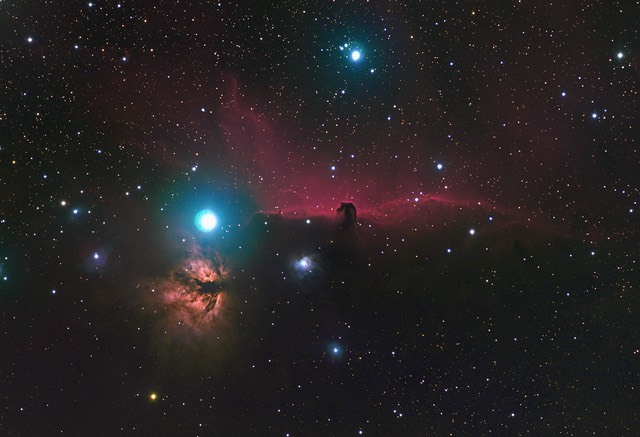 This image of the Horsehead Nebula was taken January 7-9, 2007. It almost a 7 hour exposure, containing 4 hours of hydrogen-alpha filtered data, 2 hours of color data, and 40 minutes through a luminance filter. This nebula is 1500 light years from earth is is 3.5 light years wide.